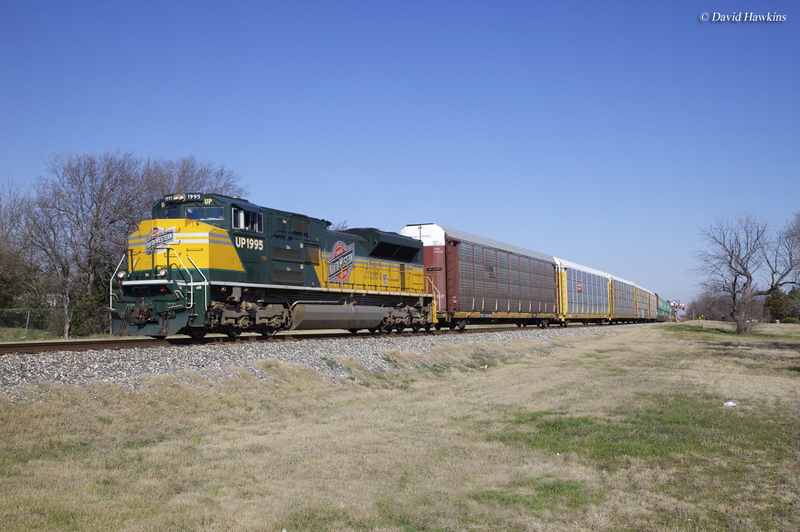 For years Union Pacific has been well known for its acknowledgement of railroad history. Steam power never really ended on the UP as 4-8-4 #844 has remained part of the fleet since she was built by Alco in 1944. Since then the company has added 4-6-6-4 #3985 and just recently Big Boy 4-8-8-4 #4014. 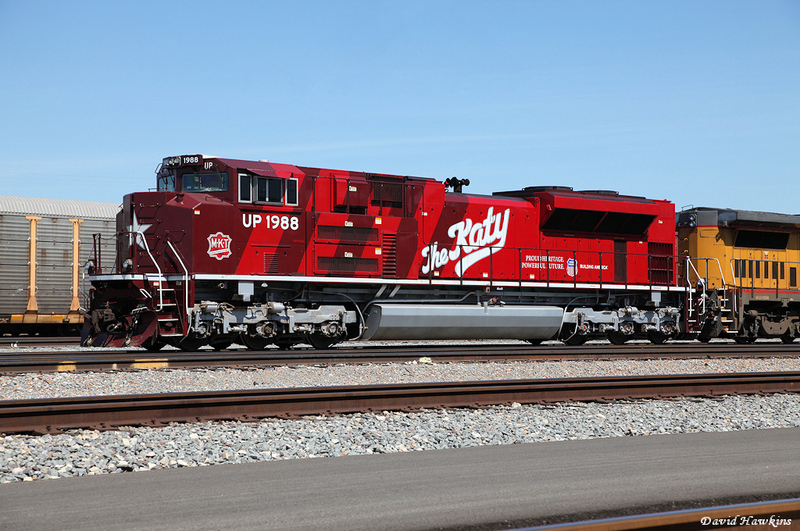 It also paid homage to the many systems which help make up its current network in the mid-2000s by releasing a special "Commemorative" series featuring six of the largest railroads in special liveries on new locomotives. At the time of their release the six were a public relations sensation and greatly revered by railfans. Since then they remain eye-catchers but have taken somewhat of a back seat to some of the latest heritage efforts now on tap across the country from the restoration of Norfolk & Western 4-8-4 #611 to UP's own #4014 project mentioned above. Prior to its release of an official "Commemorative" series Union Pacific had unveiled a number of earlier locomotives with special liveries. The very first, and one of the most memorable, was the 1991 "Desert Victory" scheme worn by SD40-2 #3593 thanking veterans and service members for their heroism during the first Gulf War in Iraq. A few years later in 1994 the company painted SD40-2 #3300 for the United Way. Next came a set of commemorative locomotives debuting in 2001 for the upcoming XIX Olympic Winter Games in Salt Lake City, Utah during February of 2002. There were two units that sported a special livery of deep blue for the games, SD70M #2001 and #2002 (they still wear this today). According to UP the locomotives carried the Olympic Torch on a special train with an 18-car consist for the 2002 Olympic Torch Relay. 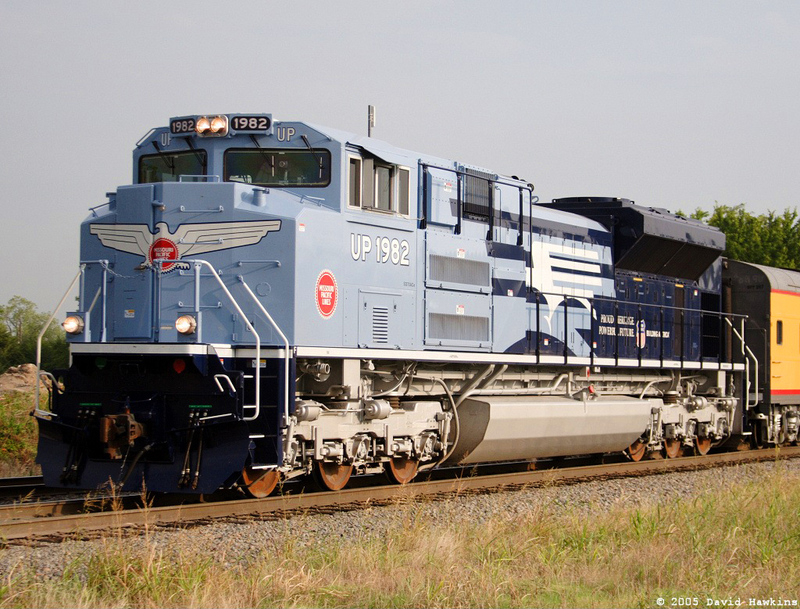 Then came the big announcement from Union Pacific in 2005, it would release a set of six locomotives, all Electro-Motive SD70ACes, in special heritage liveries showcasing those railroads that comprise much of the current system. Up until that time no major railroad had ever put together such a tribute to "fallen flag" railroads. Naturally, it gained widespread attraction and media attention as UP spent a great effort to publicize the new locomotives. The six were numbered based on the years the company acquired the railroads and the liveries were not exactly authentic but "inspired" from their predecessors (i.e., the exact schemes were never worn by the predecessors). 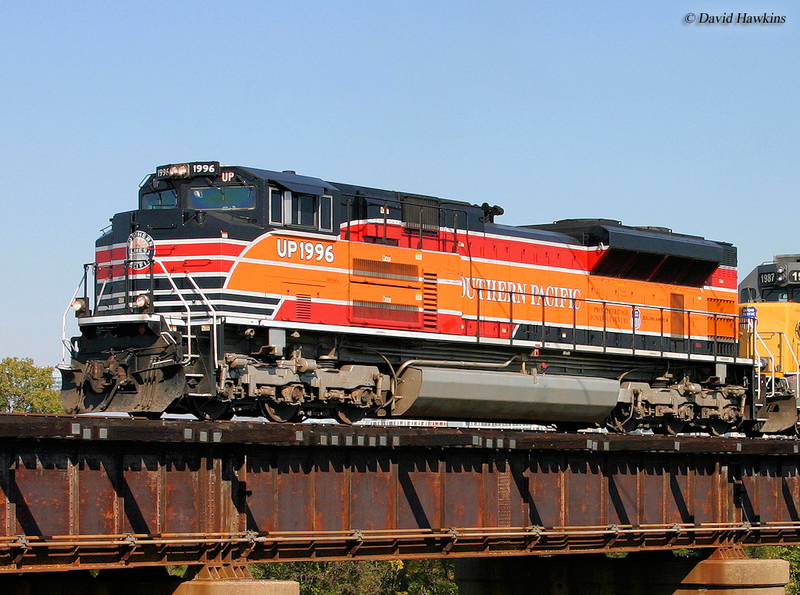 UP shelled out considerable money by hiring an agency to create the special designs and in all included; Missouri Pacific #1982, Western Pacific #1983, Missouri-Kansas-Texas (Katy) #1988, Denver & Rio Grande Western #1989, Chicago & North Western #1995, and Southern Pacific #1996. The heritage fleet turned out to be more successful than the only the buzz it created. 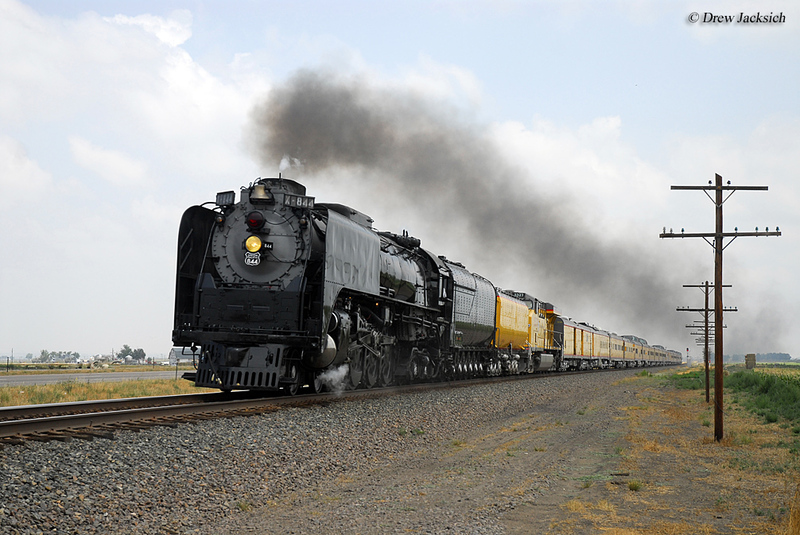 During August of 2011 Union Pacific won the coveted Brunel Award, a competition honoring railway designs around the world. According to UP the "...fleet represented the United States in the category of 'Industrial Design, Corporate Branding, Graphics, and Furnishings.'" Officially, the event is known as the "Brunel Awards International Railway Design Competition" with "...a jury of internationally renowned leaders in the area of rail design and engineering evaluate the applicants." For 2011 there were a total of 150 entrants from around the world with the field narrowed to 19 recipients across a range of five different categories. 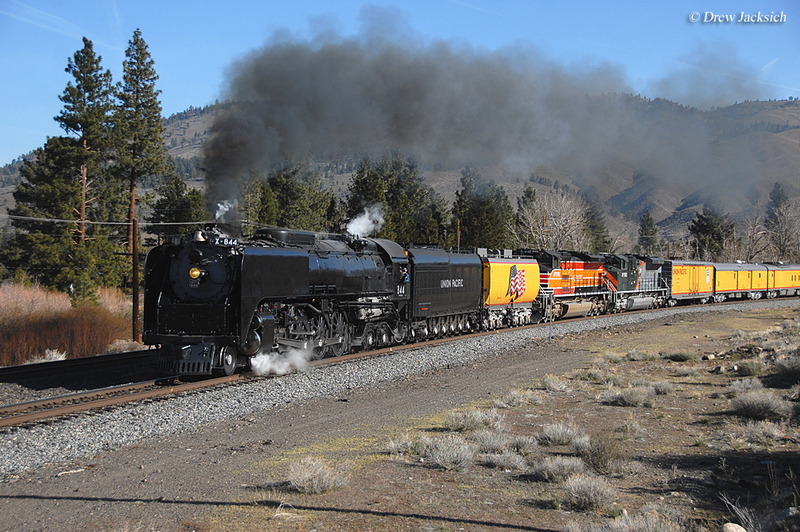 For a few years this fleet remained the "crème de la crème" of rolling railroad heritage, complementing UP's already well-established steam program and business train (which mimics the heralded City trains of yore). However, a flurry of renewed interest in the subject beginning in 2007 somewhat bumped the locomotives from their special stature. First, Norfolk Southern unveiled a restored set of streamlined F units for its business train, which wore a livery inspired from the Southern Railway's freight scheme. Then, in 2010 NS announced it was relaunching its steam program. 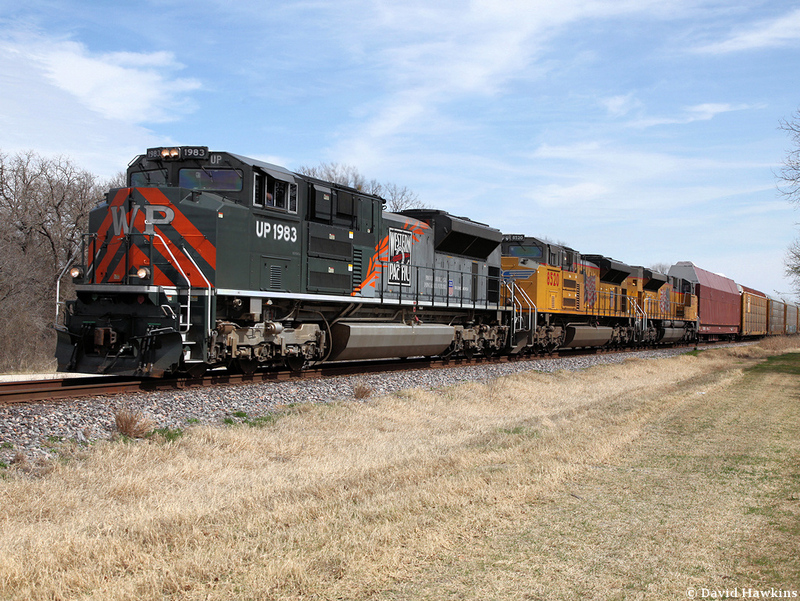 Two years later in 2012 NS continued to expand upon the subject by releasing what has been regarded as the greatest example of heritage locomotives ever put together by a major railroad; twenty authentic liveries of by-gone banners that comprise today's NS system from the Wabash Railroad to Virginian were adorned on new SD70ACe and ES44AC locomotives. For more information about the fleet please click here. 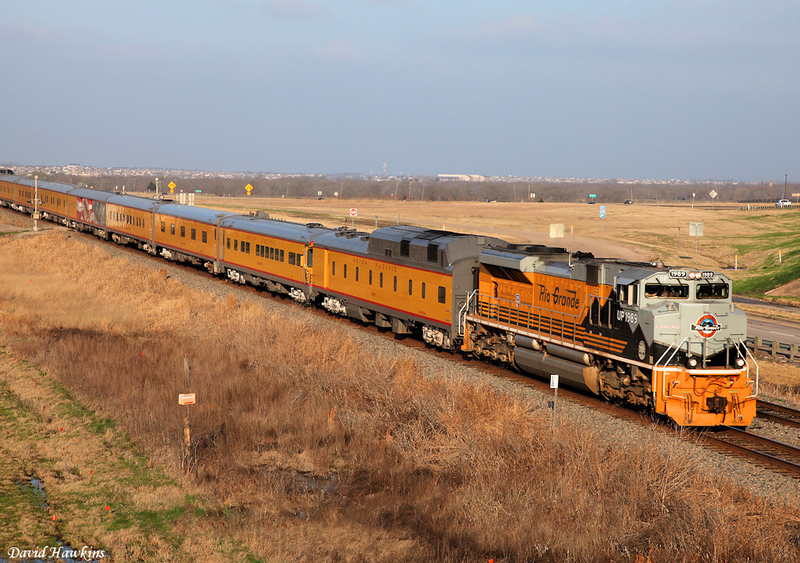 Today, Union Pacific's fleet of commemoratives still roam the railroad's system in their special paint and most of the time are kept relatively clean. Interestingly, the railroad outdid even itself in this regard when it made an incredible announcement during 2013 that it would acquire one of the fabled Big Boys, #4014, and restore the massive locomotive to operational status as part of its steam program. The resurgence in heritage amongst the major roads has been refreshing although it is currently being spearheaded only by Norfolk Southern and UP (other notables include Kansas City Southern's reborn "Southern Belle" livery and Florida East Coast's classic mango livery it has readopted for its fleet). Perhaps as other roads such as CSX and BNSF take stock in the success of these programs they will one day jump on board themselves. In any event, one can always hope... For more reading and history about Union Pacific the book with the same name by author Joe Welsh offers a nice general look at the company's long history. I have this book in my own collection and would certainly recommend it if you have any interest in UP.